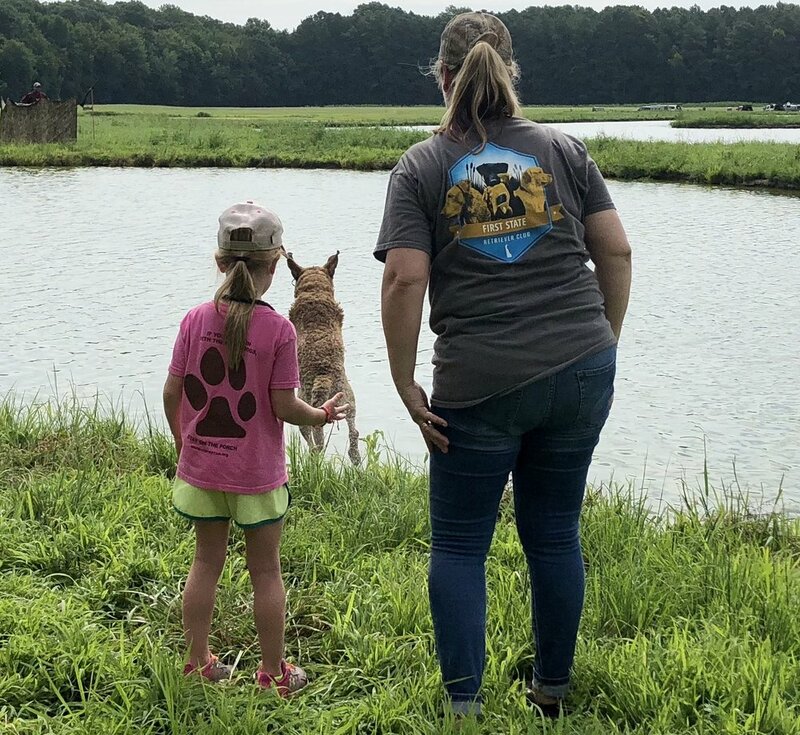 The members of the First State Retriever Club have a passion for retriever sports and we know that we have a responsibility to nurture that love in young people. Our training days are family events and we love watching the love of our sport grow in the hearts of our young people. For our Fall Hunt Test in September, our club is going the extra mile to encourage Junior Handlers to compete in our Junior test. The Junior Test will be held on 9/29 and 9/30. We've announced a $25 refund on the entry of any Junior Handler who is under 18 years of age on the day of the test. After making that announcement, we received a generous offer from an individual to cover an additional $25 of the entry fee for the first four Junior Handlers to enter the Junior test. That's a guaranteed discount of $25 and the possibility of an additional $25 discount. Handlers will pay the full entry fee on Entry Express and then our treasurer, Teresa Tebbens, will provide the refunds to the handlers on the day of the test. FYI - Junior Handlers will be required to handle the dog on the line without assistance from an adult. Full details of the test are available on Entry Express. Workers needed for the First State Spring Hunt Test April 20-22. Beat the rush and volunteer now! Many hands are needed to run a successful 3 day event. Looking for an Equipment Manager, Bird Steward, Hospitality co-ordinator as well as a small army of workers over the 3 days to share the load. This is my first chairing venture for the Club and I still feel like a newcomer in DE, so please help me out and sign up so I can get to know everyone who loves this Hunt Test sport as much as I do. Contact me by phone or email, so I can add you to my list and coordinate assignments.